All technical debt in enterprise assets is either incremental technical debt or legacy technical debt. Incremental technical debt is technical debt newly incurred. It can be newly incurred exogenous technical debt, or it can be endogenous technical debt incurred either in projects currently underway, or projects just recently completed. Legacy technical debt is technical debt associated with assets, and which wasn’t incurred recently or which exists in any form prior to undertaking work on those assets. All legacy technical debt was at some point incremental technical debt. The vast amounts of legacy technical debt most organizations now carry are nothing more than the accumulation of incremental technical debt. The path to managing legacy technical debt therefore begins with controlling incremental technical debt. A sinking rowboat provides a useful metaphor for illustrating the effects of incremental technical debt. The enterprise is the rowboat; the leaks are the properties of the enterprise and its environment that lead to creating incremental technical debt; water entering the boat through leaks is incremental technical debt; the accumulated water in the bottom of the boat is legacy technical debt. 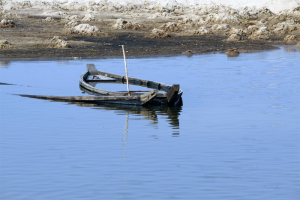 If you find yourself in a sinking rowboat, bailing out at least some of the water is a good idea, and it might be necessary in the short term. But at some point, fixing the leaks where the water comes in is advisable. Unless you address the leaks that already exist, and prevent new ones from forming as the rowboat ages, your fate is sealed. You’ll spend increasing portions of your time, energy, and resources bailing out your leaky rowboat, and declining portions of your time, energy, and resources rowing the boat towards your objective. And when you do devote some time and energy to rowing towards your objective, you’ll find the rowing surprisingly difficult, because the boat is lower in the water, and because you must propel not only the mass of the boat and its payload, but also the dead weight of the water in the bottom of the boat. In this metaphor, legacy technical debt is the water in the bottom of the boat, and incremental technical debt is the water coming in through the leaks. The leaks are the proximate “causes” of technical debt. The root causes of the leaks are the root causes of technical debt. If the enterprise is in the midst of a legacy technical debt emergency, retiring some of it is necessary in the short term. But unless the enterprise addresses incremental technical debt and its root causes, a new burden of legacy technical debt will accumulate. That accumulation is then likely to eliminate the benefits of having retired the current burden of legacy technical debt. So after the legacy technical debt emergency is passed—or if resources permit, during the emergency—establishing measures, procedures, and practices for controlling incremental technical debt would be prudent. This change might be less challenging than it sounds. With respect to endogenous incremental technical debt, the teams that incurred it are either still at work, or just recently dispersed. Their understanding of the incremental technical debt is still fresh in their minds. If their projects are still underway, and if budget and schedule permit, retiring the incremental technical debt in the context of those projects is a superior strategy. For projects that have already delivered their work products, a somewhat less preferable—but still practical—approach involves re-assembling some of the team to retire the incremental technical debt as soon as possible, while memories are still fresh. Other approaches might be needed for incremental exogenous technical debt. For the most part, the problem of controlling incremental technical debt isn’t a technical one. It usually reduces to a problem of finding time and resources to undertake the task. The immediate reason why most teams don’t have enough resources to retire their incremental technical debt is that the organization, as a whole, doesn’t plan for retiring incremental technical debt incrementally. This immediate reason, though, isn’t fundamental. The lack of resources is a symptom of deeper dysfunctions in the organization. The real question is this: Why do so many organizations fail to allocate time and resources to retire incremental technical debt incrementally? Here are three reasons. The organization is unlikely to be able to manage any kind of technical debt unless its people understand the concept. They must understand that technical debt isn’t necessarily the result of engineering malpractice. Much technical debt arises either as a natural result of working with technology, or as a result of organizational forms that compel people to behave in ways that lead to generating technical debt. Unless the people of the organization accept these truths, allocating sufficient resources to managing incremental technical debt is unlikely. Decisions regarding technical debt management ultimately reduce to a choice between allocating precious resources to technical debt retirement, and allocating them elsewhere. To make this choice responsibly, it’s necessary to fully appreciate the cost of carrying technical debt. Most believe that these costs appear in the form of lost engineering productivity. While that is indeed a factor, other factors can be far more important. For example, if entry into an important market is delayed by even as little as 30 days due to debt-depressed engineering productivity, the financial consequences can be enormous and insurmountable. Or delays in diagnosing and repairing a fault in a product can produce financial liabilities that can actually sink the company. When one considers all possible financial consequences of carrying technical debt, it becomes clear that managing technical debt effectively is actually a strategy for survival. The decision to allocate appropriate resources to incremental technical debt retirement does require modeling these costs—calculations that few organizations actually undertake. Failing to estimate MICs with sufficient precision is problematic, as noted, because it reduces the quality of decisions regarding short-term resource allocations. But it also affects long-term projections, which depend on estimating returns on investments. For example, to choose between investing in retiring incremental technical debt from an asset and investing in new capabilities for the same asset, one must compare the projected value of each choice. If the decision-maker’s understanding of the technical debt concept is deficient, or if the calculations of MICs now or in the future are incomplete or underestimated, the investment decision is likely to be biased in favor investing in new capabilities. Incremental technical debt retirement is thereby systematically deferred or avoided altogether. The simplistic approach to controlling incremental technical debt is to provide more money to projects and to engineering functions. While that approach will be somewhat helpful, its results will likely be disappointing when compared to approaches that combine resource augmentation with changes in enterprise policy, processes, and culture. Those whose decisions cause the enterprise to incur technical debt are accountable for securing the resources needed to retire that debt, and for supplying compensating resources to those within the enterprise, or among its customers, who suffer depressed operational effectiveness during the period in which that technical debt is outstanding. I call this the Principle of Accountability. It’s a corollary of what Weinberg calls “Ford’s Fundamental Feedback Formula” [Weinberg 1985], which captures the idea that people make better choices when they must live with the consequences of those choices. General guiding principles are necessary, but not sufficient. Here are five examples of changes that help in controlling incremental technical debt [Brenner 2017b]. There must be general agreement among all parties about the meanings of concepts that relate to incremental technical debt formation. Examples: the definitions of “done” vis-à-vis projects, strategic technical debt, reckless technical debt, unethical technical debt, exogenous-technical-debt, endogenous technical debt, MICs, MPrin, and more. An enterprise-wide education program, including on-line reference material and new-employee orientation components, are probably also necessary. There is a widespread belief that most technical debt results from engineering malpractice. Although some technical debt does arise this way, most does not. For examples of other causes, see “Non-technical precursors of non-strategic technical debt.” Some technical debt arises because of advances external to the enterprise, beyond its control. Development-induced or field-revealed discoveries are especially difficult to avoid. In many instances, technical debt is an inevitable result of using technology. The cost of retiring a particular class of technical debt (its MPrin) is significant only in the context of planning or setting priorities for resource allocation. In all other contexts, knowing that cost has little management value. What does matter, at all times, is the cost of carrying that technical debt—the MICs, or metaphorical interest charges. (See “The Principal Principle: Focus on MICs.”) MICs can fluctuate wildly [Garnett 2013]. Build and maintain expertise for estimating and tracking the costs of incurring and carrying each class of technical debt. Know how much each kind of technical debt contributes to these costs, now and for the next few years. Some kinds of incremental technical debt result from actions (or inactions) within the enterprise; some do not. To control the kinds of incremental technical debt that arise from internal causes, hold people accountable for the debt their actions generate. Use Fowler’s Technical Debt Quadrant [Fowler 2009] as the basis for assessing and distributing internal financial accountability for debt retirement costs (MPrin) and metaphorical interest charges (MICs). 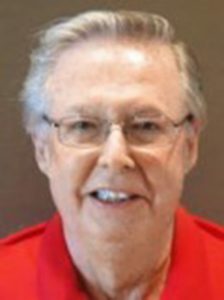 For example, in Fowler’s terms, a Reckless/Inadvertent incident could carry a rating that would lead to imposing higher assessed charges for the debt originators than would a Prudent/Deliberate incident, the charges for which might be zero. In the financial realm, secured debt is debt for which repayment is guaranteed by specifically pledged assets. By analogy, secured technical debt is technical debt for which resources have been allocated (possibly in a forward time period) to guarantee the debt’s retirement and possibly its associated MICs. This policy implies that deliberately incurred technical debt, whether incurred strategically or recklessly, must be secured. If anyone involved in a development or maintenance effort feels that technical debt has been incurred, a dispassionate third party, unaligned with any function involved in the effort, reviews project deliverables for the presence of technical debt. However, allocating future resources might require securing commitments of resources for fiscal periods beyond the current one. For many organizations, such forward commitments might require modifying the management accounting system. Controlling incremental technical debt requires changes well beyond the behavior and attitudes of engineering staff, or the technologies they employ. Achieving control of incremental technical debt formation requires engagement with enterprise culture to alter the behavior and attitudes of most of the people of enterprise. [Brenner 2017b] Richard Brenner. “Managing Technical Debt: Nine Policy Recommendations,” Cutter Consortium Executive Update 18:4, 2017. [Garnett 2013] Steve Garnett, “Technical Debt: Strategies & Tactics for Avoiding & Removing it,” RippleRock Blog, March 5, 2013. Available: here; Retrieved February 12, 2017. [Weinberg 1985] Gerald M. Weinberg. The Secrets of Consulting . New York: Dorset House, 1985. Adopting a program of technical debt management entails significant change to the system we call the enterprise. The problem can seem so daunting that we don’t know where to begin. The places to begin are the places where the change agents have greatest leverage—what systems analysts call leverage points. Consider this scenario. McMurdo Station, Antarctica, as seen from nearby Observation Hill. The United States Antarctic Program, a unit of the National Science Foundation, operates the station. It can house as many as 1258 people in Summer. Photo (cc) Gaelen Marsden courtesy . OK, you think. But how? We’re a global enterprise with thousands of engineers and operations on every continent. Except maybe Antarctica. No wait, we’re there, too. McMurdo I think. We have software we don’t even know much about, acquired long ago along with the companies that built it. And we’re building new systems or modifying old ones all the time, trying to move everything to the cloud while enhancing data security. Where do we begin to look for the millstones of technical debt? Have you been in that meeting? If not, can you imagine being in that meeting? Meetings like that are happening around the globe. We’re all in the same soup. It turns out that the answers to the millstone questions are available, but the pioneers and deep thinkers who have shown the way aren’t working on technical debt. Their field is called systems analysis. They work on problems like the collapse of the North Atlantic fishery, urban deterioration, unemployment, poverty, climate change, and the causes of the Great Recession of 2008—really difficult problems. Although the technical debt problem isn’t quite that challenging, it’s challenging enough to justify taking a look at the methods of systems analysis. And when we do that, we immediately encounter a concept many call leverage points. Leverage points are places in complex systems where a small change in one thing can produce big changes in system behavior. In a brilliant 1997 article, Donella Meadows describes what she calls “places to intervene in a system.” [Meadows 1997] She followed this article, making improvements each time, in 1999 [Meadows 1999] and 2008 [Meadows 2008]. Let me summarize Meadows’ work here. To alter the behavior of a complex system, intervene at one or more of 12 categories of leverage points. For example, one category is called “Rules.” It consists of the incentives, punishments, and constraints that govern the behavior of the people and institutions that comprise the system. By adjusting the system’s rules, we can alter overall system behavior. One more thing: the leverage points form an ordered hierarchy, ordered by effectiveness. Acting at a higher-level leverage point is more effective than acting at a lower-level leverage point. And more difficult, too. The ordering of the categories is a bit fuzzy, because every situation has its own quirks, but generally, the order is as given in the list below. In a moment I’ll give an example of using leverage point #9, Delays, to bring about change in the way the enterprise deals with technical debt. But first, here’s a brief summary of the leverage points in increasing order of leverage; not enough to truly understand what they are, but probably enough to pique your interest. As I write posts that illustrate interventions at these leverage points, I’ll link to them from here. When we use feedback to control systems, and there are delays in the feedback, we can potentially create destructive system behavior. And that can happen when we try to control technical debt. Whenever we try to control a quantity in an enterprise process, we must (a) set a target value for that quantity; then (b) measure its current value; and then (c) take action as appropriate to move the current value toward the target value. Systems analysts (and control theorists) call that arrangement a feedback loop. The action taken to move the current value to the target value is sometimes called the control signal. Under certain conditions, the feedback works as expected. For example, to control the profitability of the enterprise, we can examine its net income, say, quarterly. And at the end of each quarter we can make adjustments if net income isn’t in the target range. Feedback loops generally work pretty well, but under some conditions, oscillations can develop. One of those troublesome situations occurs when there’s a delay in the loop that’s of the same order as (or longer than) the time the system takes to respond to adjustments. Meadows uses the example of adjusting the water temperature of a shower when there’s a long delay between making the adjustment and feeling its effects. Overcorrection is almost inevitable, and that’s what causes system oscillation. So let’s suppose that we’re trying to control the rate of accumulation of technical debt. One approach is to set a target for TDnew, the new technical debt generated in a project. To be fair to all projects, we decide to normalize this quantity according to the project budget B. So we set targets for each project’s N = TDnew/B, and we require that projects estimate N, on an ongoing basis, with a goal of having N in some target range when the project is complete. One problem with this approach is that we rarely identify accurately all the technical debt we’ve incurred until some time has passed after project delivery. With time, as the newly produced assets go into production and learning accumulates, we acquire the wisdom needed to identify more of the technical debt we created. This is one source of delay in this feedback loop. So let’s assume that this happens for several projects, and management decides that delayed recognition of incurred technical debt is a common occurrence. To account for this, management lowers the target ranges for N for future projects. This causes project managers and project sponsors to include in their project plans additional effort directed at retiring more of their incremental technical debt before their projects complete, to enable them to project lower values of N. They must therefore identify as much of the incremental technical debt as they can, and retire it, to meet the lower targets for N.
But recall that technical debt identification sometimes requires time and experience using the newly produced asset. And the reverse process also occurs. Technical artifacts that we thought were technical debt prove to be useful in unexpected ways, and actually turn out not to be debt items after all. As a result, some of the incremental technical debt that got retired before the project was completed actually should not have been retired. Eventually, people realize that this happens with uncomfortable frequency, and so the targets for N are raised once more. Oscillations thus set in. Long delays inevitably cause them. To prevent oscillations, shorten the delays. With technical debt, we can shorten delays in several ways. If the asset is meant for human use, involve representatives of the user population in the development and design process as soon as practical. Have them exercise the asset, or prototypes, early. Listen to their suggestions. Observe how they use the asset. If the asset must interact with non-human assets, exercise it early and often. Don’t think of this as testing, though it might look very much like testing. What you’re actually doing is searching for shortcomings in how the asset interacts with non-human assets, in design and implementation in an asset that already works. Subject the asset to multiple reviews all along the development trajectory. Don’t wait for final release to review it. These practices expose technical debt items early—potentially, during initial design—thereby reducing delays in identifying what is and what is not technical debt. They help to advance the date at which we uncover missing capabilities or capabilities designed or implemented in awkward ways. No surprise, I’m sure, but these practices are consistent with Agile approaches to technological development. Most of the argument above assumed that the incremental technical debt associated with the project was incurred within the asset undergoing development or maintenance. But technical debt can occur in other assets as well. When the development team is unaware of such “remote” or “indirect” incremental technical debt, recognition of that new incremental technical debt can be significantly delayed. The project’s N will appear to be smaller that it actually is, until that remote incremental technical debt is recognized. This form of delay is likely to occur when the debt incurred is asset-exogenous. Recall the example of line extension of mobile phones. In that example, the enterprise incurs technical debt in one set of products as a result of the introduction of a different product. In some cases, the newly incurred technical debt is immediately evident. When it is not, delays can be substantial. This effect is by no means rare. Any organizational change can potentially add to the technical debt portfolio—reorganizations, acquisitions, expansions, wholly new products, and much more. Interventions at the leverage points of an organization can produce the changes we want with a minimum of effort. Some subtlety is involved, because Meadows’ leverage points are expressed at a high level of abstraction. But applying them to the problem of technical debt management is a promising approach. [Meadows 1997] Donella H. Meadows. “Places to Intervene in a System,” Whole Earth , Winter 1997. [Meadows 2008] Donella H. Meadows and Diana Wright. Thinking in Systems: A Primer. White River Junction, VT: Chelsea Green Publishing, 2008. The young Mohican bent over the track, and removing the scattered leaves from around the place, he examined it with much of that sort of scrutiny that a money-dealer, in these days of pecuniary doubts, would bestow on a suspected due-bill. At length he arose from his knees, satisfied with the result of the examination. 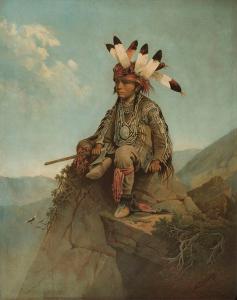 “The Young Chief Uncas,” 1869 chromolithograph by John Mix Stanley (1814–1872). Photo courtesy Wikimedia Commons. Uncas then deduces amazing details about the man who left the track he examined—150 years ahead of Sherlock Holmes. Natty Bumppo, Cooper’s Hawkeye character, calls the signs Uncas uses tell-tales. Nature abounds with examples of such skill at noticing tell-tales. Lions, tigers, bears, and all sorts of fauna use their olfactory senses to detect food, predators, mates, offspring, weather, and even the change of seasons. Smell gives them access to information they need, often before sight or hearing can. That’s probably a part of why smell has become a useful metaphor in software engineering. The technical literature about code smells is vast and growing [Haque 2018]. In a blog post titled “CodeSmell,” Martin Fowler defines code smell as, “…a surface indication that usually corresponds to a deeper problem in the system.” [Fowler 2006] Code smells are traits that are easy to recognize, and often—but not always—indicators of problems. The concept is also useful in the business domain, though there we use a different metaphor and a different term. In the business context, we call smells red flags. Investopedia defines a red flag as, “…an indicator of potential problems with a security, such as any undesirable characteristic that stands out to an analyst as it pertains to a company’s stock, financial statements or negative news reports.” But I’ve heard the term red flag used in the context of evaluating proposals, assessments, status reports, personnel, and intelligence of all kinds. Whether called tell-tales, smells, red flags, or just indicators, their value is that they suggest the outlines of something we haven’t yet seen clearly enough to identify with certainty. Their principal attributes are that they’re available at the surface of the domain we’re surveying, they’re relatively cheap to obtain, and, if found, they suggest trouble, and deeper investigation might be worthwhile. In the software engineering community, technical debt is regarded as a smell that indicates trouble in the system’s software. So we might ask, “Among policymakers, what are the smells that indicate trouble in the organization?” If technical debt is the trouble we’re looking for, what are the cultural smells that indicate that technical debt might be a problem? Said differently, can we find, or can we develop, a set of attributes of enterprise culture that indicate the degree of severity of an organization’s problems with technical debt? We’re a new startup—just a year old—so we have no technical debt. Clearly we could assemble a list of technical debt smells—beliefs about technical debt and behaviors that affect it—and check for their presence in a given organization. But fortunately, some of that work has already been done, albeit in a very different context; That context is a malady psychiatrists call “Substance Use Disorder.” More about that next time. [Cooper 1857] James Fenimore Cooper. The Last of the Mohicans , New York: Bantam Classics, 1982. [Fowler 2006] Martin Fowler. “CodeSmell,” Martin Fowler (blog), February 9, 2006. [Haque 2018] Md Shariful Haque, Jeff Carver, and Travis Atkison. "Causes, impacts, and detection approaches of code smell: a survey." Proceedings of the ACMSE 2018 Conference . ACM, 2018. Mastering understanding of exogenous technical debt—debt that arises from causes not directly related to the asset that bears the debt—is essential to controlling technical debt formation. Exogenous technical debt is particularly troublesome to those who work on the affected assets. They can’t control its formation, and they’re rarely responsible for creating it. But their internal customers and those who control resources often fail to understand this. Indeed, those who work on the affected assets are often blamed for the formation of exogenous technical debt even though they had no role in its formation, and could have done nothing to prevent its formation. Asbestos with muscovite. 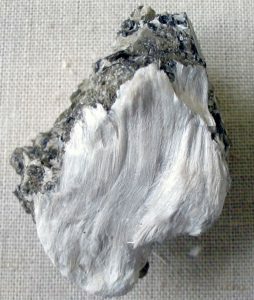 Asbestos is a family of six minerals that occur naturally in fibrous form. The fibers are all known carcinogens. Until 1990, it was widely used in many common building materials, including insulation, plaster, and drywall joint compound. It is now banned, but it’s present in many existing structures, including homes and offices. The installation of the ban caused these structures to incur exogenous technical debt. Photo by Aramgutang courtesy Wikipedia. Technical debt is exogenous when it’s brought about by an activity not directly related to the assets in which the debt appears. The word exogenous comes from the Greek exo– (outside) + –genous (related to producing). So exogenous technical debt is that portion of an asset’s debt that comes about from activities or decisions that don’t involve the asset directly. Because so much technical debt is produced indirectly, controlling its direct formation—for example, by engineering teams—isn’t sufficient for achieving enterprise control of technical debt formation. To control technical debt formation, we must track which activities produce it, including both direct and indirect effects. Allocating technical debt retirement costs to the activities that brought that debt about, even if the allocation doesn’t affect budget authority for those activities, is therefore a useful practice. Knowledge about which past activities created technical debt, and how much, is helpful for long-term reduction in the rate of technical debt formation. When we think of technical debt, we tend to think of activities that produce it relatively directly. We often imagine it as resulting solely from engineering activity, or from decisions not to undertake engineering activity. In either case the activity involved, whether undertaken or not, is activity directly involving the asset that carries—or will be carrying—the technical debt. This kind of technical debt is endogenous technical debt. The word endogenous comes from the Greek endo– (within or inside) + –genous (related to producing). So endogenous technical debt is that portion of an asset’s debt that comes about from activities or decisions that directly involve the asset. More about endogenous technical debt in future posts. For now, let’s look more closely at exogenous technical debt, and its policy implications. In “Spontaneous generation,” I examined one scenario in which technical debt formation occurs spontaneously—that is, in the absence of engineering activity. Specifically, I noted how the emergence of the HTML5 standard led to the formation of technical debt in some (if not all) existing Web sites, in the sense that they didn’t exploit capabilities that had become available in HTML5. Moreover, some sites whose developers had elected to emulate capabilities of the new standard by exploiting alternative technologies needed rehabilitation to remove the emulation and replace it with use of facilities in the HTML5 standard. All of these artifacts—including those that existed, and those that didn’t—comprised technical debt. This scenario thus led to the formation of exogenous technical debt. In a second example, AMUFC, A Made-Up Fictitious Corporation, incurs technical debt when the vendor that supplies the operating system (OS) for AMUFC’s desktop computers announces the date of the end of extended support for the version of the OS in use at AMUFC. Because the end of extended support brings an end to security updates, AMUFC must retire that debt by migrating to the next version of that vendor’s OS before extended support actually ends. In both of these examples, the forces that lead to formation of exogenous technical debt are external to both the enterprise and the enterprise’s assets. But what makes technical debt exogenous is that the forces that led to its formation are unrelated to any of the engineering work being performed on the asset that carries the debt. 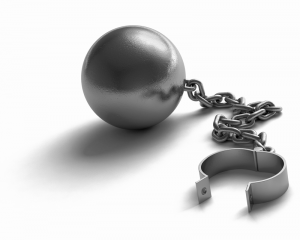 This restriction is loose enough to also include technical debt that arises from any change or activity external to the asset, but within the enterprise. Exogenous technical debt can arise from activities or decisions that take place entirely within the enterprise. For example, consider a line of mobile devices developed and marketed by AMUFC (A Made-Up Fictitious Corporation). Until this past year, AMUFC has been developing ever more capable devices, thereby extending its line of offerings at the high end—the more expensive and capable members of the line. But this past quarter, AMUFC developed a low-end member of the line, and as often happens, price constraints led to innovations that could produce considerable savings in manufacturing costs if those innovations were applied to all members of the line. In effect, then, the designs of the previously developed models in this line of devices have incurred exogenous technical debt. The debt is exogenous because the activity that led to debt formation was not performed on the assets that now carry the debt, even though the activity that led to debt formation occurred within the enterprise. This kind of exogenous technical debt might be termed asset-exogenous. Exogenous technical debt of the kind that’s incurred by activity beyond the enterprise might be termed enterprise-exogenous. For asset-exogenous technical debt, ambiguity between endogeneity and exogeneity can arise. The example above regarding the line of mobile devices produced by AMUFC provides an illustration. For convenience, call the team that developed one of the high-end devices Team High. Call the team that developed the low-end device Team Low. From the perspective of Team High, the technical debt due to the innovations discovered by Team Low is exogenous. But from the perspective of the VP Mobile Devices, that same technical debt might be regarded as endogenous. The debt can be endogenous at VP level because it’s possible to regard the entire product line as a single asset, and that might actually be the preferred perspective of VP Mobile Devices. The technical debt portfolio of a given asset can contain a mix a technical debt that arose from various past incidents. 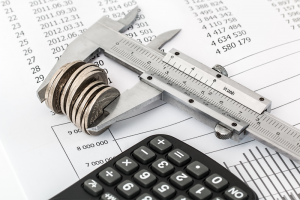 In assessing the condition of the asset, it’s useful to distinguish this existing debt from debt that’s incurred as a consequence of any current activity or decisions. Call this pre-existing technical debt legacy technical debt. The legacy technical debt carried by an asset is technical debt associated with that asset, and which exists in that asset in any form prior to undertaking work on that asset. For example, in planning a project to renovate the hallways and common areas of a high-rise apartment building, workers discover that beneath the existing carpeting is a layer of floor tile containing asbestos. Management has decided to remove the tile. In this context, the floor tile can be viewed as legacy technical debt. It isn’t directly related to the objectives of the current renovation, but removing it will enhance the safety of future renovations, enable certification of the building as asbestos-free, increase the property value, and reduce the cost of eventual demolition. In this situation asbestos removal amounts to retirement of legacy technical debt, and accounting for it as part of the common-area renovation would be misleading. When contemplating efforts to retire legacy technical debt, exogeneity becomes a factor in allocating the necessary resources. If the debt in question is enterprise-exogenous, then we can justifiably budget the effort from enterprise-level accounts if appropriate. For other cases, other pools of resources become relevant depending on what actions created the debt. For example, if the exogenous technical debt arose because of a departmental change in standards, debt retirement costs can justifiably be allocated to the standards effort. If the exogenous technical debt arose from innovations in other members of the asset’s product line, those debt retirement costs can justifiably be allocated to the product line. Understanding the properties of exogenous technical debt can be a foundation for policy innovations that enhance enterprise agility. Widespread understanding the distinction between exogenous and endogenous technical debt is helpful in controlling blaming behavior that targets the engineering teams responsible for developing and maintaining technological assets. Understanding of asset-exogenous technical debt helps non-engineers understand how their actions and decisions can lead to technical debt formation, even when there is no apparent direct connection between those actions or decisions and the assets in question. Data about the technical debt creation effects of enterprise activities is helpful in allocating technical debt retirement costs. For example, when we know all the implications of reorganization, including its impact on internal data about the enterprise itself, we can charge data-related activity to the reorganization instead of to general accounts of the Information Technology function. This helps the enterprise understand the true costs of reorganization. Similarly, data about enterprise-exogenous technical debt helps planners understand how to deploy resources to gather external intelligence about trends that can affect internal assets. Such data is also useful for setting levels of support and participation in industrial standards organizations or in lobbying government officials. Knowing the formation history of exogenous technical debt provides useful guidance for those charged with allocating the costs of retiring technical debt or preventing its formation. An enterprise-wide definition of technical debt is essential because effective technical debt management requires cooperation from almost everyone. Absent a shared definition of technical debt, controversy can develop, especially among those who have previously encountered the concept—namely, among technologists. Policymakers can make invaluable contributions to the design of the cultural transformation that will enable control of technical debt. A physical expression of shared commitment. Effective management of technical debt requires both a shared understanding of what it is and a shared commitment to do what’s required to get control of it. This finding is perhaps the most significant for policymakers, because it suggests that implementing a technical debt management regime will require forging an organizational consensus about the meaning of the term technical debt. The people of most organizations come from a broad array of different backgrounds. Some have little knowledge of technical debt, and therefore have no preconceptions. But those who are aware of the issue, who are mainly technologists and their managers, probably interpret the term technical debtin a variety of ways. Because some of those who do have awareness of the term are likely to have strong opinions about its meaning, one can anticipate a need to resolve these differences of opinion early in the effort to gain control of technical debt. Some technical terms, like RAID,byte, compiler, and kilowatt,have standard definitions that are widely accepted. Although the term technical debthas found wide use, there is no standard definition for it. What some people categorize as technical debt, others do not. Those who are accustomed to working with terms that have precise, widely accepted definitions might tend to assume that the term technical debtdoes have (or should have) one as well. This assumption can create some difficulty for people who do not realize that others might not share their views as to the definition of the term. Policymakers must be aware that there is a lack of consensus about the definition of technical debt. Our definition, crafted specially for the use of policymakers, might seem unusually broad to technologists and engineers. For that reason alone, it’s advisable to become familiar with the various ways the term is used by technologists, because understanding their perspective is essential to formulating sound policy deserving of their respect. Cultural debt can be expensive because, like technical debt, it can incur ongoing metaphorical interest charges. Schein defines organizational culture as “…a pattern of shared basic assumptions learned by a group as it solved its problems of external adaptation and internal integration…” [Schein 2016]. Following the concept of technical debt, we can regard as cultural debt the subset of shared basic assumptions comprising enterprise culture that are no longer fitting for enterprise realities. We can also include as cultural debt any assumptions that ought to be shared, but which are missing or are only partially shared. And we can include shared assumptions that conflict with each other and need to be resolved. 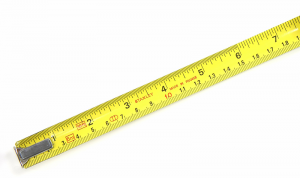 A tape measure calibrated in both feet/inches and meters/centimeters. The need to possess tools that serve both measurement systems can be viewed as the metaphorical interest charges on a technical debt resulting from the failure to retire the older “English” system. But from another perspective, the debt involved is actually cultural. Retiring the older system would truly involve a cultural shift. For most modern enterprises, one element of cultural debt is the very term IT itself — information technology. Coined in 1958 by Leavitt and Whisler [Leavitt 1958], the term was apt up to as recently as 20 years ago, when the role of IT was primarily management, storage, retrieval, manipulation, and presentation of data — information — by technological means. Although those functions remain relevant, the responsibilities of IT have expanded dramatically since 1958. In many organizations, IT is now responsible for designing, implementing, and maintaining the communication infrastructure, including Internet access, personal computers, networking, Web presence, telephones, video conferencing equipment, and television. 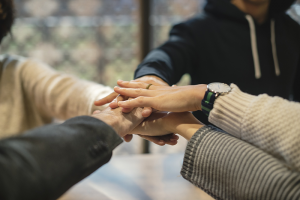 In modern organizations in which communication plays a critical and strategic role, an essential element for success is a clear understanding of what IT does and what it contributes. To regard IT as the “information technology” function of the enterprise is, therefore, to risk overlooking and undervaluing these more recently acquired responsibilities. And since the IT function is no longer solely responsible for enterprise information, using the name “IT” or the term information technology risks overvaluing the role of the IT organization relative to information management, while undervaluing its role relative to communications. In Schein’s culture framework, the term IT reflects a shared assumption about the focus and span of the IT function. That assumption is that IT is responsible for information—an assumption that is no longer well aligned to the reality of the role of IT. We can regard this misalignment as a cultural debt. The consequences of this particular kind of cultural debt can be severe. For instance, IT is typically responsible for selecting and configuring software for personal computers (PCs) — both desktop and laptop. This responsibility can arise as a consequence of two shared assumptions. First, that computers process information, and second, that IT is responsible for technology-based information processing. The result is that decisions about what many regard as a “personal” computer are not in the control of the person who uses the computer. This conflict in shared assumptions can lead to conflict between PC users and IT, when the IT decision is at variance with their personal preferences. Worse, a centralized decision process for determining PC configurations is likely to produce outcomes less suitable than would a process more focused at the individual level, which only adds to the frustrations of PC users, and exacerbates the conflict between them and IT. To mitigate the risk that some PC users might try to circumvent IT policy, IT must deploy technology to ensure adherence to their policies. We can regard all of that activity, on the part of both IT and the PC users, as metaphorical interest charges on cultural debt. In 1987, Edward Yourdon founded a magazine then known as American Programmer. In 1990, Cutter Information Corporation purchased the rights to American Programmer and created Cutter IT Journal, which name includes the term IT. At the time IT was more suitable than the term programmer. As noted above, the term IT, while once useful and apt, is now outmoded at best and often misleading. Just as the functional name IT in organizations constitutes cultural debt, so it does in the name of a journal. So in the autumn of 2016, Cutter IT Journal retired the cultural debt in its name, and became Cutter Business Technology Journal. Journals rarely change their names. When they do, the impact of the journal is temporarily depressed because of the split of citations between the former title and the new title for two years or so [Tempest 2005]. But as research fields change, their journals must keep pace. Evidently Cutter felt a significant need to retire its cultural debt — significant enough to justify a temporary effect on impact. What about cultural debt retirement in companies? Difficulties associated with retiring cultural debt in companies depend strongly on both the nature of the culture and the nature of the debt. To provide insight into the issues that can arise, let’s continue with our exploration of the term IT and its cultural implications. When cultures view IT as an information-centric service organization, a remnant perhaps of the middle or late 20th century, they tend to regard IT as a source of expense to be minimized, rather than as a strategic partner [Ross 2000]. Trends toward strategic acceptance of IT are nevertheless favorable, with room for improvement, according to recent surveys of CIOs [CIO 2018], probably because of reality. The reality is that business technology must contribute to formulation and implementation of enterprise strategy. To the extent that CIOs and their organizations are viewed as separate from “the business,” their ability to help shape enterprise strategy is limited. This situation subjects CIOs to cultural assumptions about their responsibilities that in some instances conflict with each other, or with enterprise reality. That’s a significant source of the metaphorical interest charges on the cultural debt. One possible way to retire this debt might entail retitling Chief Information Officer to Chief Business Technology Officer (CBTO). That’s precisely what happened at Forrester Research in 2011 [Plant 2014]. Unfortunately, the name CBTO conflicts with the three-word pattern of enterprise officer titles (C*O), which might create an urge to name the office Chief Technology Officer (CTO). But that role usually has responsibility for the functions that create technological products or services. Thus, for many organizations, to create a CBTO where there is already a CTO might create further sources of conflict. Using the CTO designation for the CBTO is probably impractical. But we must find some way to retire this particular cultural debt, because it is such an effective generator of technical debt. CBTO seems to be the best available path. [CIO 2018] CIO. “2018 State of the Cio: CIOs Race Towards Digital Business,” CIO , winter 2018. [Leavitt 1958] Harold J. Leavitt and Thomas L. Whisler. “Management in the 1980s,” Harvard Business Review , November-December, 36, 41-48, 1958. [Plant 2014] Robert Plant. “IT Has Finally Cracked the C-Suite,” Harvard Business Review, July 16, 2014. [Schein 2016] Edgar H. Schein. Organizational Culture and Leadership, Fifth Edition, San Francisco: Jossey-Bass, 2016. [Tempest 2005] “The effect of journal title changes on impact factors,” Learned Publishing 18, 57–62, 2005. In the United States, the Broken Windows theory of crime control first appeared in the public conversation in 1982, when Kelling and Wilson described it in The Atlantic (then known as The Atlantic Monthly) [Kelling 1982]. Briefly, the theory suggests that in urban environments, by applying police resources to preventing small crimes such as vandalism, public drinking, and toll jumping, one can prevent serious crime and create an atmosphere of order and lawfulness. Gladwell popularized the idea in his explosive best seller The Tipping Point [Gladwell 2000]. Broken windows in an old abandoned factory. To work in an environment dominated by properties like this must certainly be demoralizing. But whether existing technical debt actually causes people to make choices that incur new technical debt is another question. At this point, it’s an open question. In the year before Gladwell’s work appeared, Hunt and Thomas incorporated the Broken Windows theory into their work, The Pragmatic Programmer, suggesting it as a justification for the importance of retiring technical debt immediately upon discovering it [Hunt 1999]. Briefly, the theory as applied to technical debt in software is that tolerating low quality and technical debt in a given asset encourages further degradation of quality and incurring additional technical debt. Within the software community, the Broken Windows theory of managing technical debt is widely accepted [Note a]. However, between Kelling’s work in 1982 and the work of Hunt and Thomas in 1999, criminologists and sociologists had become skeptical of the Broken Windows theory as applied to crime prevention. As far back as 1998, investigations had begun to cast doubt on the Broken Windows theory [Harcourt 1998]. In 2006, Eck and Maguire assembled a review of the escalating controversy [Eck 2006]. Research by O’Brien, Sampson, and Winship, based on “big data” analyses, failed to produce evidence of validity of the Broken Windows theory beyond a weak positive correlation between social orderliness and lawful behavior [O’Brien 2015]. Indeed, their research instead showed a very strong positive correlation between private violent behavior and major crimes. Others have noted that what appeared to be positive results for the application of the Broken Windows approach to crime prevention in the 1990s was actually explainable by other phenomena [Note b]. But even as doubts developed about the efficacy of Broken Windows policing for crime prevention, Broken Windows continued to find adherents relative to managing technical debt in software assets. The software engineering community thus finds itself, perhaps, in the same position with respect to Broken Windows as it is with respect to the Tragedy of the Commons. Broken Windows and the Tragedy of the Commons are both fine analogies, but the fields that originated them now have superior ways of understanding the phenomena in question. Maybe it’s time for the engineering community to re-examine Broken Windows as it pertains to technological asset quality and technical debt. At this time, the author is aware only of anecdotal support for the Broken Windows theory of technical debt management. 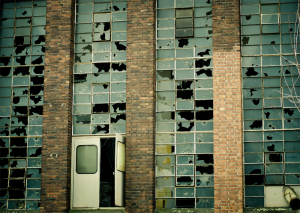 Perhaps the Broken Windows theory will work better in engineering than it did in social science or criminology, but do you want to bet your company on that? [Eck 2006] J. Eck and E.R. Maguire. “Have Changes in Policing Reduced Violent Crime? An Assessment of the Evidence,” in Blumstein, Alfred, and Joel Wallman, eds. The Crime Drop in America, Revised Edition . Cambridge: Cambridge University Press, 2006, 207-265. [Gladwell 2000] Malcolm Gladwell. The Tipping Point: How Little Things Can Make a Big Difference . New York: Little, Brown and Company, 2000. [Harcourt 1998] Bernard E. Harcourt. “Reflecting on the Subject: A Critique of the Social Influence Conception of Deterrence, the Broken Windows Theory, and Order-Maintenance Policing New York Style,” 97 Michigan Law Review 291, 1998. [Hunt 1999] Andrew Hunt and David Thomas. The Pragmatic Programmer: From Journeyman to Master . Reading, Massachusetts: Addison Wesley Longman, 1999. [Kelling 1982] Kelling, George L. and James Q. Wilson. “Broken Windows: The police and neighborhood safety,” The Atlantic , 249(3):29–38, March 1982. [Nuwer 2013] Rachel Nuwer. “Sorry, Malcolm Gladwell: NYC’s Drop in Crime Not Due to Broken Window Theory,” SmartNews blog at smithsonian.com, February 6, 2013. Available: here; Retrieved: June 25, 2017. [O’Brien 2015] Daniel O’Brien, Robert J. Sampson, and Christopher Winship. “Ecometrics in the Age of Big Data: Measuring and Assessing ‘Broken Windows’ Using Large-scale Administrative Records.” Sociological Methodology 45: 101-147, 2015. [Childress 2016] Sarah Childress. “The Problem with ‘Broken Windows’ Policing,” PBS FrontLine , June 28, 2016. [Harcourt 2006a] Bernard E. Harcourt. “Bratton's ‘broken windows’:No matter what you’ve heard, the chief’s policing method wastes precious funds,” Los Angeles Times, April 20, 2006. [Harcourt 2006b] Bernard E. Harcourt and Jens Ludwig. “Broken Windows: New Evidence From New York City and a Five-City Social Experiment,” University of Chicago Law Review, Vol. 73, 2006.